A turquoise and green plaid style washi tape - great for geometric themes. 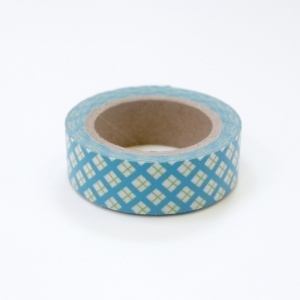 Use for gift wrap and craft projects. Each roll contains 10 metres of tape.